Ralph was educated at Abilene High School and Kansas State University. He served with the National Guard on the Mexican Border Service in 1976 and as an infantry Captain in France during World War I. He served in the special assignment section of the War production Board in World War II as critical materials allocationist for the communications industry at the request of Presidents Roosevelt and Truman. His services were regularly sought by numerous federal agencies governing in the field of communications. Lucier was employed by United Telephone & Electric Co. (Predecessor of United Utilities, Inc.) at Abilene, Kansas, 1920-1935. He was transferred to Warsaw, Indiana, as general manager of United Telephone Co. of Indiana, Inc. 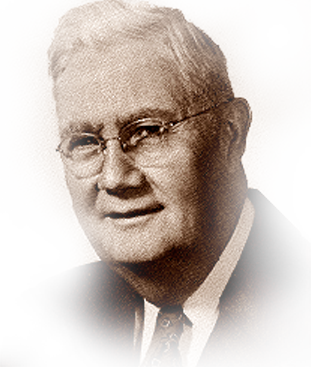 He was president and general manager of this company from 1938-1958. In 1958, he accepted an urgent appeal to become vice president of operations of United Utilities, Inc., Kansas City, Missouri, to help steer the corporation through a trying period. Simultaneously, he served as chairman and chief executive officer for United Telephone of Indiana. He labored to build United into the second largest Independent. Lucier served as a director of Indiana Telephone Association, ITPA, and USITA. He died in 1960.